New from Cookies SF (w/a little help from RAW) is the 110mm Automatic Rolling Box; the only way to stylishly crank out your king size smokes on the go (110mm is the length of king size papers). Each box holds not only your herbs/tobacco but there's room for filters and rolling papers too. 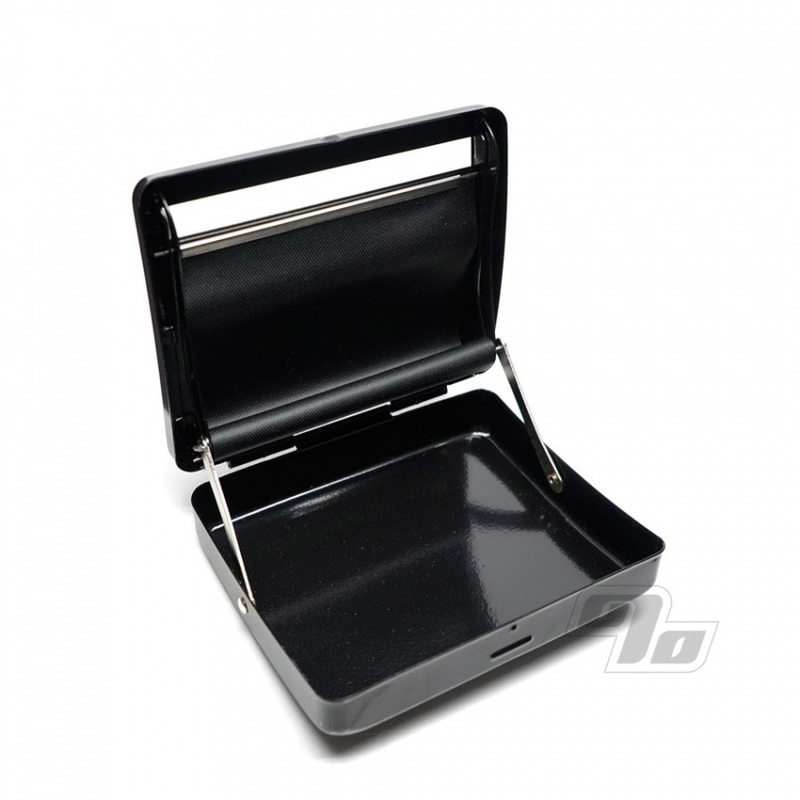 All securely contained thanks to the firm yet smooth action hinges. Non-stretch apron rolls up quick like with or without optional paper tips or filter tips. A little patience to get it going but once you master a rolling box it's 2nd nature. You will be one with the machine!